Up and coming optics companies generally make me a bit uneasy because of all of the unknowns. However, Zero Compromise Optics has an incredible history to make for a solid foundation that puts all of my doubts at ease. In short, the guy who is behind this new company was at Nightforce for 20+ years. Also, he helped Kahles establish its tactical brand in the US by designing many of the features in their most popular scopes. With this rich background in quality optics, he has set out to make Zero Compromise Optics an elite optics manufacturer. 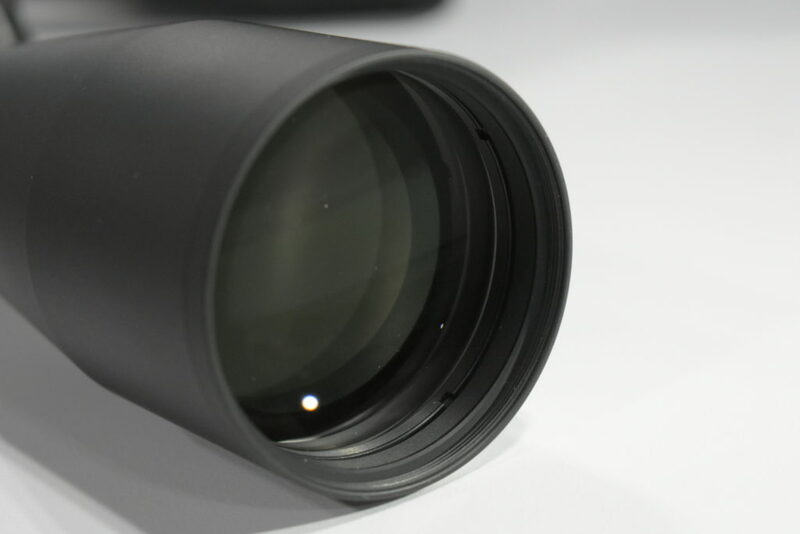 The ZC line of optics is attractive from end to end. Both come with a 36mm main tube and an integral throw lever. The new product line that they have to offer includes two optics. 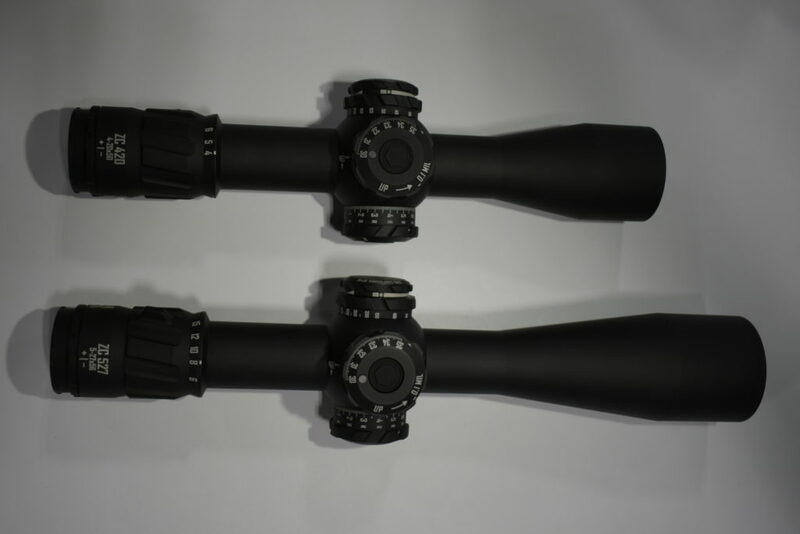 The ZC420 and the ZC527 which you can get with one of two different great reticles. 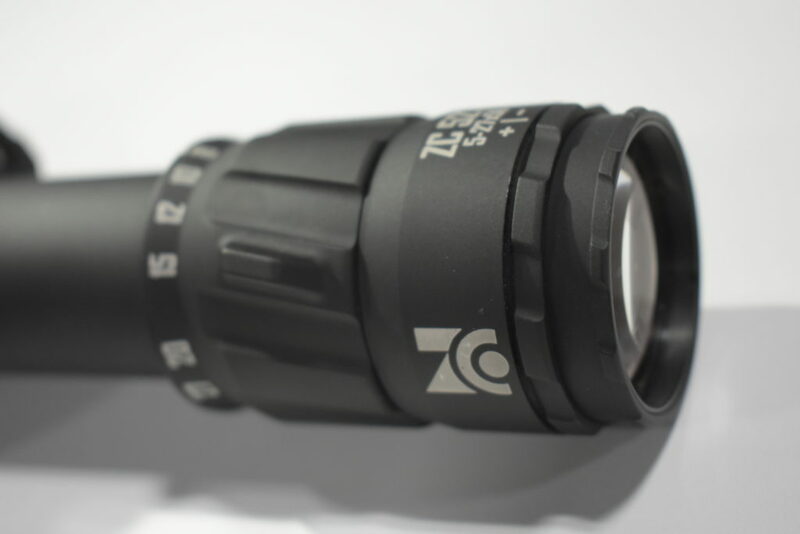 Currently, both optics are only offered in MRAD, but that will likely change in the future. Both of these optics have a huge magnification range and amazing glass while remaining sub 40 ounces (34.8 and 37.9 respectively); an incredible achievement. The ZC420 has an MSRP of $3500 and the slightly larger ZC527 has an MSRP of $3600. 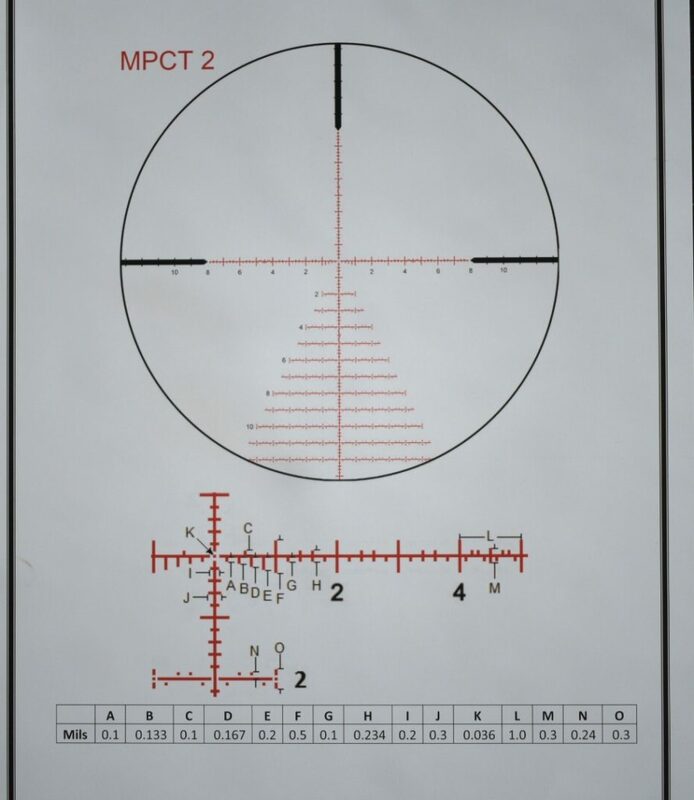 The MPCT 1 and MPCT 2 are the two reticles available in Zero Compromise Optics currently. Bear with me to the end of the article when I list the specifications and features because, well, these optics are straight loaded. A few of my favorite features were the locking turrets and the elevation turret’s rotation indicator. The mechanics in this optic are very well designed and spare no expense in production. Inside both turrets, there is an assembly that houses not one, but two clickers spaced on opposite sides of the turret. These clickers are not just detents that wear in one spot across the internal ridges on the turret. Instead, they make full contact and rotate with the turret, maintaining an even wear pattern for maximum longevity. Such is the detail that was paid to construction. Also among my favorite features were the locking fast focus eyepiece and ingenious lighted reticle system. As you rotate the elevation turret, the rotation indicator raises with each full turn. This helps you keep track of where you are dialed. The lighted reticle is a lot more feature-packed than any other system that I have seen. While maintaining ease of use, the lighting system does many things like turning off after being left still after three minutes only to automatically turn back on when motion is detected. Similarly, if it is left motionless for 2 hours or more, it will only take a slight rotation of the illumination dial to wake it back up. The illumination also turns off if the scope is canted 45 degrees or tilted 75 degrees up or down. This feature is here to save the battery if you put your gun away and forgot to turn the illumination off. 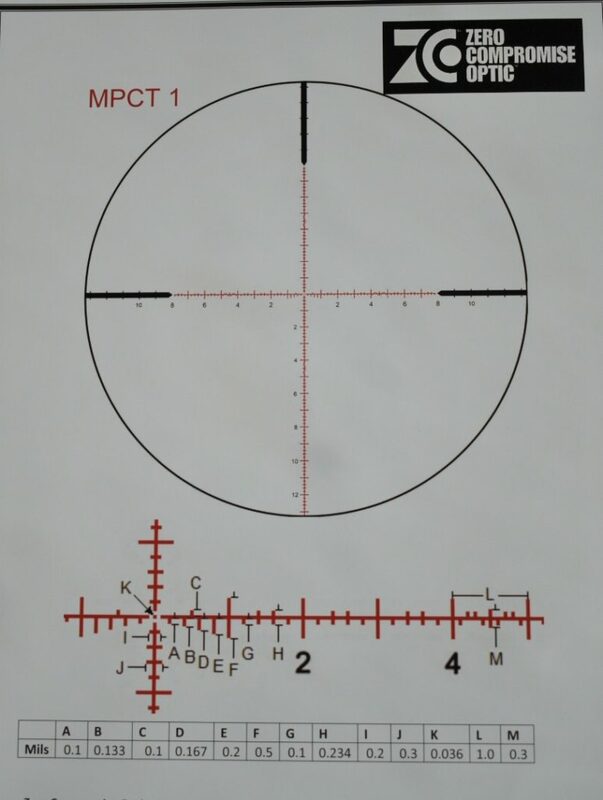 Of course, this illuminated reticle is offered in red and green at various intensities including night vision levels. 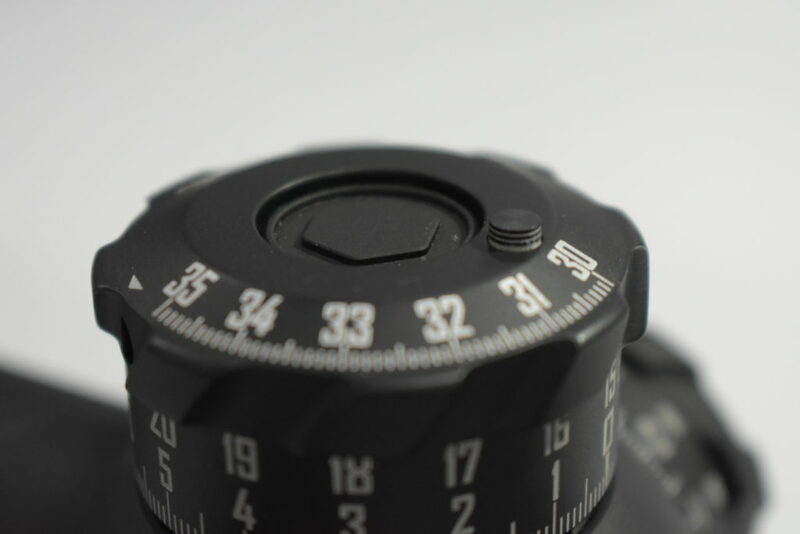 The illumination knob is seamlessly integrated into the parallax knob. It is smooth to operate and very straightforward. The glass used in these optics is of the highest quality. The mechanical components are machined in Austria and then assembled in Orofino Idaho, right here in the U.S. Any and all service and customer support is done in Idaho, allowing for a quick turnaround. These optics boast high light transmission and resolution that competes with the best in the industry. The ZC line also has some of the most accurate color rendition and contrast with no fringing. The glass used in Zero Compromise Optics is of the highest quality. I want to continue with more details about this optic, but this is not a full review and sadly I could hardly fit the rest of what I want to say. 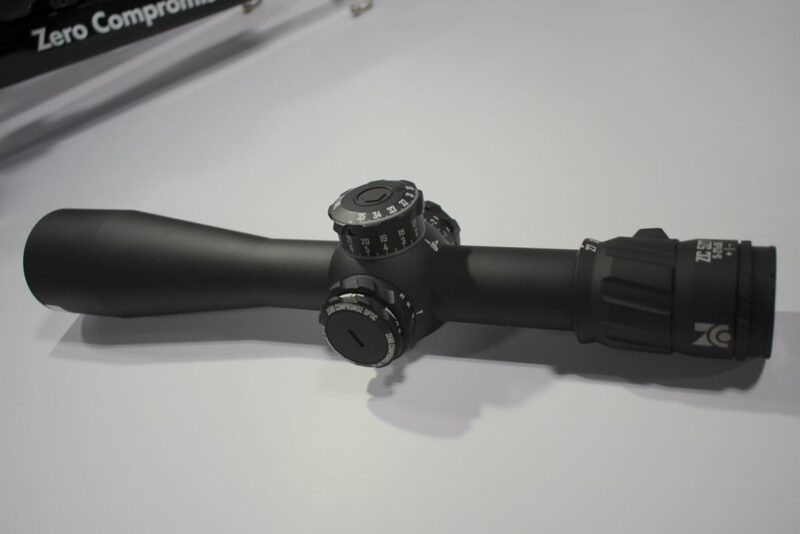 That said, please watch for an upcoming full review on Zero Compromise Optics in the GunsAmerica Digest. The ZC420 is slightly shorter than the ZC527 but is not lacking any of the same great features. 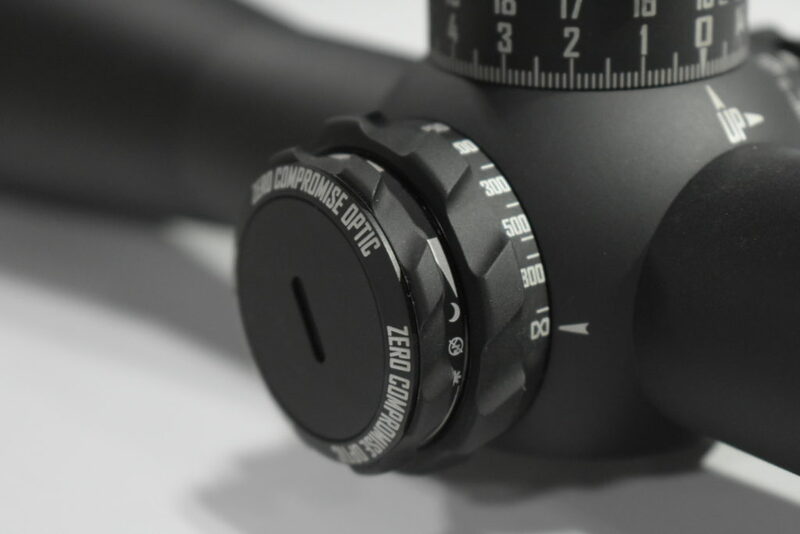 The integrated throw lever and locking fast focus eyepiece can be seen here. Reminds me of both Premier and Tangent Theta. Is there perhaps dna actually shared. Both also swung for the fences I believe. I might suggest a different approach for new scope companies, don’t reflexively price product higher than S&B from day one no matter what you you think it’s worth, especially if you have contracted out production. Give some credit to the long term players in establishing pricing. Cultivate loyalty, slowly. As to the actual scope, I’m glad you didn’t feel constrained to adopt the popular 34 mm tube body. They don’t mention pricing so I looked it up. $3600 for these bad boys. For that kind of money I think I’ll stick with known and proven NF or S&B. Sometimes you have to do more than look at the pictures, even if they are pretty dang good. 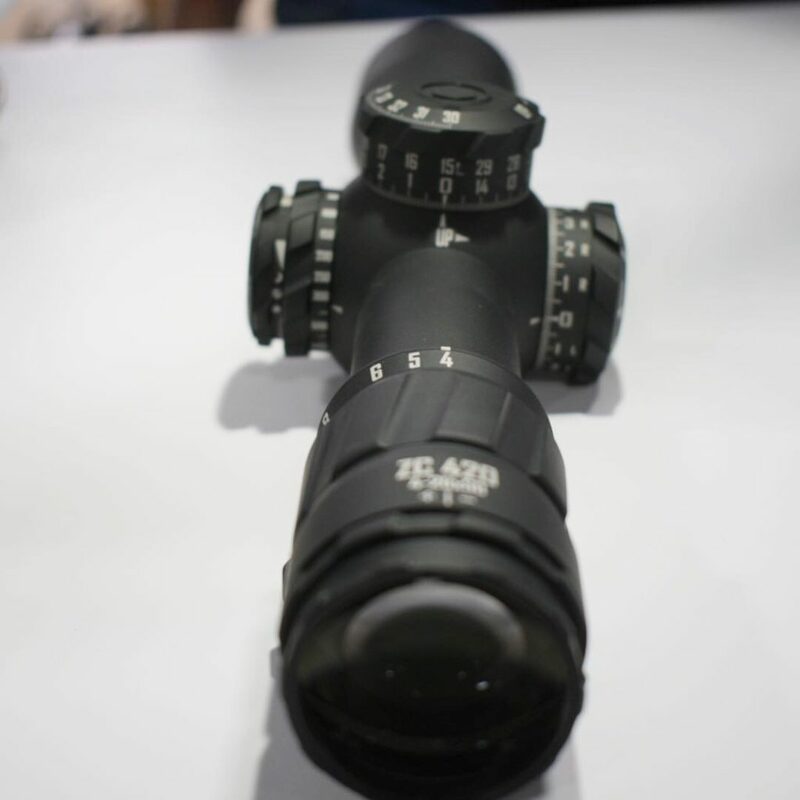 36mm main tube diameter for superior optical performance and provide large adjustment range of 35 mils elevation and 20 mils of windage. Several high end mounts are available from American Rifle Co., MasterPiece Arms, Spuhr, and Really Right Stuff. This sounds like a really great scope, although i’m Not sure why they went with a 36mm main tube, when 34mm is WAY more common. This effects ring choices! The scope is very visually appealing, sort of reminds me of a Tangent Theta. A TT at Vortex Razor pricing and you’ve got a winner!